We caught up with a small portion of Bearhands’ extended family on the weekend for brunch. 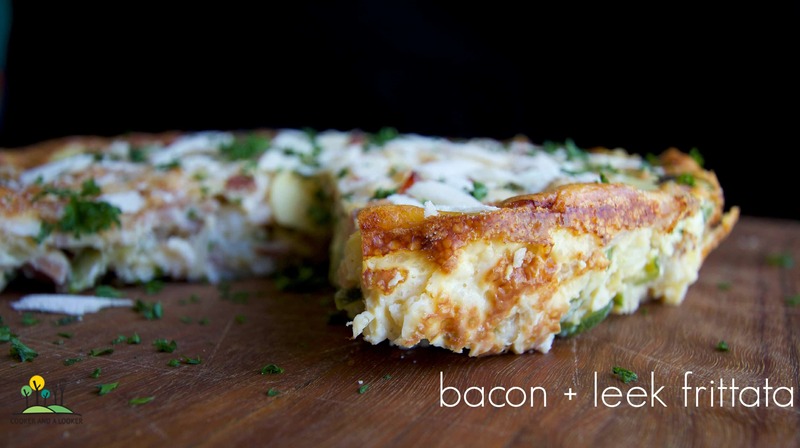 Frittatas are traditionally a Spanish breakfast dish. They’re tasty and perfectly portable, which made them the perfect choice for Saturday. I made them, and while they were baking, threw some clothes in a bag for the weekend, asked the kids to brush their teeth eleven times, showered, asked the girls to put their shoes on twelve times and did the washing up. Chop the bacon and cook in a fry pan until crispy. Remove from heat and allow to cool slightly. This step is not essential, but frying the bacon will give the frittata more flavour. Wash (and if necessary peel) the potatoes. Finely slice the spuds to about 3mm thick – I use a guillotine slicer, it’s super fast and I love the perfect slices. In a round cake tin, arrange the leeks, bacon and potato slices evenly – taking care to separate the potato slices – I’ve found they’re a bit sneaky and tend to stick together. Beat the eggs, cream, cheese and seasonings together and pour over the potato/bacon mix. Bake at 180ºC for thirty minutes, until golden brown and set in the middle. Wash (and if necessary peel) the potatoes. Finely slice the spuds and zucchini to about 3mm thick. In a round cake tin, arrange the leeks, zucchini, peas, mint and potato slices evenly – taking care to separate the potato slices.Beat the eggs, cream, cheese and seasonings together and pour over the potato/zucchini mix. Slice the chorizo and cook in a fry pan. Remove from heat and allow to cool slightly. Wash (and if necessary peel) the potatoes. Finely slice the spuds to about 3mm thick. 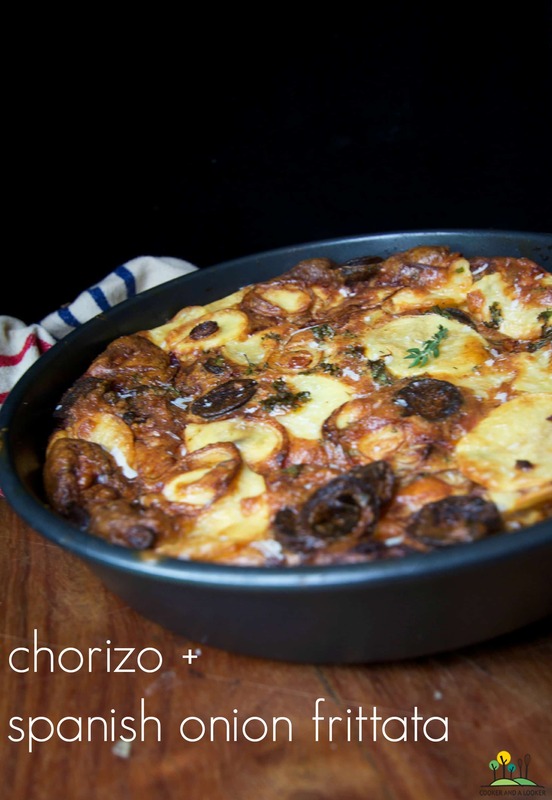 In a round cake tin, arrange the chorizo, spanish onion and potato slices evenly – taking care to separate the potato slices. Beat the eggs, cream, cheese and seasonings together and pour over the potato/chorizo mix. Saturday turned out to be a beaut day. Aside from catching up with family, I found a dress to wear to my brother’s wedding next weekend; nothing like leaving it to the last! We even dodged a bullet, when the Big Sister only wound up only missing skin (not missing teeth) after an incident on a water slide. did your husband squish anyone on a water slide? Ouch! I’ll be needing both coconut water and chorizo come Sunday! 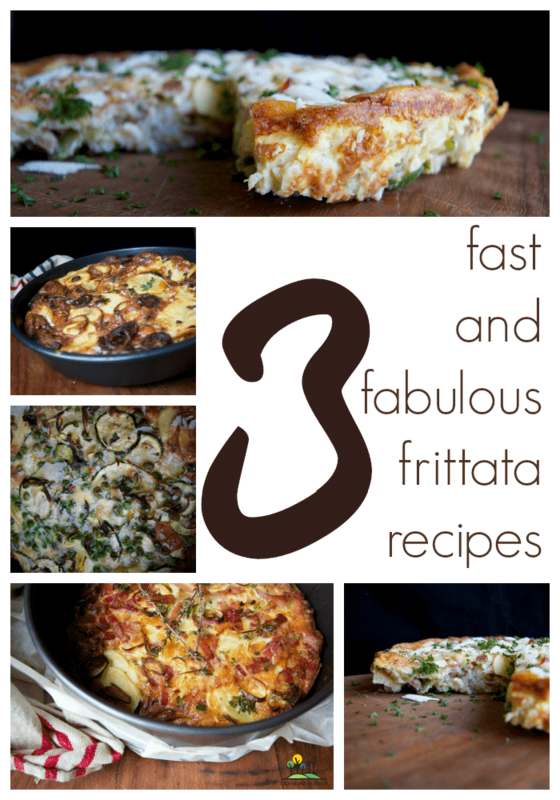 Oh these look fab – I might even get my fussy, sensitive to texture eater to try these.